The premise of the site is you pay $5, and you get a really bad logo. 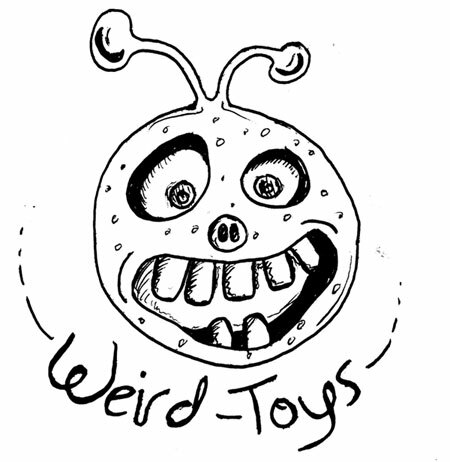 Out of curiosity, I ordered a Weirdo Toys logo. I just received it last night. Behold, the horrible logo. Pretty gross, eh? It even has a typo! 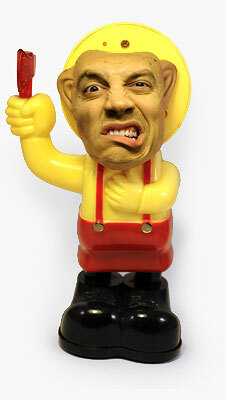 (Im)Perfect! I won’t be adopting it officially, but I just had to share. It’s disappointing. Perhaps it’s by design, but it lacks anything to do with toys as far as I can tell, and it’s really not as weird as it could be. I just hope the typo was deliberate. Justin, I like it. However for $10 I can make a more horrible logo for you! I’d rather spend my $5 on more toys.